Zi Zhongyun (資中筠, 1930-) is a noted expert on American diplomatic history and the study of the United States more broadly. She is also a much-published translator and former head of the Institute of American Studies at the Chinese Academy of Social Science in Beijing. Mme Zi studied English and French at Tsinghua University from 1948 to 1951. In response to the ‘Xu Zhangrun Incident’, Zi Zhongyun composed the following essay, the Chinese title of which is simply 哀清華 Aī Qīnghuá, ‘lament for’ or ‘mourning for Tsinghua University’. The title evokes numerous literary associations, including one about ‘Lament for the South — a Rhapsody’ 哀江南賦 by Yu Xin (庾信, 513-581 CE), a famous elegiac poem about a lost homeland. During those decades not only were the butchers themselves sacrificed on the altar of ideology, mourned in turn after others had been mourned for, but more importantly the countless multitudes of China were caught up in the maelstrom. It feels like only yesterday that bloody violence swept the land. Having barely survived that calamity you can just imagine how people must be reacting to the renewed drumbeat of war. From those who come after them. My thanks, as ever, to Reader #1 for pointing out typographical errors in the draft of the transaction and to Jianying Zha for a timely reminder about Yu Xin’s rhapsody. As in the case of previous essays in ‘Xu Zhangrun and Tsinghua University’, Zi Zhongyun’s text is reproduced here as it first appeared, despite our ongoing distaste for the ‘Crippled Characters’ 殘體字 of the People’s Republic. This bilingual translation is archived both in The Best China as well as in the Xu Zhangrun 許章潤 sections of China Heritage, under Projects. Tsinghua University is embroiled in media controversy yet again. This time around not only is the media buzzing with the news, it is also affecting all people of conscience and decency. The words ‘Mourning Tsinghua’ haunt me yet again. The first time I thought of this title was back in 2010 when I heard that a number of the most famous and symbolic buildings on the campus — the original Tsinghua School Hall, as well as the old Auditorium and Library — had gone up in flames. Despite the fact that — as is usually the case with such incidents — it was blamed on an incompetent worker, the real culprit was the university administration’s wrong-headed plans to renovate the historical structures on campus. More broadly speaking, their erroneous approach to heritage preservation was born of a number of factors: a blind obsession with major new vanity projects; a complete lack of reverence for tradition; and, a recklessness rooted in ignorance. These buildings are prominent national historic architectural treasures, and in particular they included the precious wooden structure of the main building. It had survived war, the Japanese occupation and even the assaults of the Cultural Revolution. It’s my understanding that the first post-Cultural Revolution president of Tsinghua himself thought about renovating that particular structure, but even he approached the issue with a measure of caution. He actually sought the advice of members of the Department of Architecture. They were able to educate him about the history and particular architectural features of the building. Among other things, he learned how precious the wood used in the construction was and how it could never be replicated. That’s why, they argued, any decision about its future should be made with the utmost care. That specialist advice put paid to his plans. Who would have thought that a building that had survived for nigh on a century would be destroyed in an unexplained conflagration during China’s present Golden Era? But the fact the matter is that it happened because of the vainglorious efforts of the university’s leaders to pursue major building projects in the lead up to the university’s centenary [in 2011]. I learned about the disaster in the dead of night and immediately started reading the online cries of anguish and outrage from Tsinghua graduates both new and old. I shared their pain and sleep eluded me; it struck me that in some way that with that fire not only was a building lost but that the very traditions that had made Tsinghua what it was were going up in smoke. Tsinghua does not want for money and, no matter how careful or extravagant they are when rebuilding that lost structure, its precious wooden heart will never be recovered. Although the words ‘Mourning Tsinghua’ bedevilled me at the time, I didn’t write up my lament. Anyway, since it was on the eve of my beloved alma mater’s centenary — a celebration somewhat akin to a family wedding — it seemed distasteful to spoil the party mood with lachrymose complaints. But, it was the celebration of the centennial and, because Tsinghua was also the alma mater of a number of national leaders [these include Zhu Rongji, Hu Jintao, Wu Bangguo, Xi Jinping, to name but a few ] the whole thing ended up becoming a grand affair of state. That’s why they moved the official commemoration from the Tsinghua campus to the Great Hall of the People. 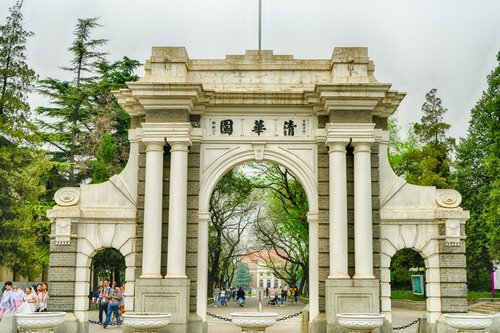 The mainstream media duly went over the top in reporting on it all, and one of the posters put on display featured the Old Gate of the university — the one with the words ‘Tsinghua Garden’ on it, which is iconic in its own right — covered in the faces of notable Tsinghua people. But they were arranged in according to a political hierarchy, with pictures of the leaders of the day blown up and placed in the most prominent position. It took quite an effort even to identify any of the university’s former college presidents or famous professors because their pictures were sequestered at the bottom, squashed together and so minuscule as to be all but unrecognisable. I was outraged. This was not way to display the real ‘Tsinghua Hierarchy’: it ignored the real veterans, overlooking people’s years of service, their academic status and their overall contributions to the institution. It was sycophantic, pure and simple. That’s why, when the school called me up to double-check on my postal address before sending out an official invitation to the grand event, I flatly refused. And that’s why even back then people were saying that nowadays Tsinghua was a place that ‘brings together the outstanding talents of the world only to ruin them’ [a bitter recasting of a famous line from the Confucian thinker Mencius who said that one of the joys of a master is ‘to assemble the outstanding talents under heaven so as to educate them’ 得天下英才而教育之]. By ‘ruin’ people meant that Tsinghua had become a place suffocated by bureaucratic aspiration, an institution that twisted keen young minds into learning how to worship at the altars of big bureaucrats, starting with the president and faculty members. How could students possibly focus on their studies in such an environment? In other ways, it isn’t even accurate to claim that Tsinghua ‘assembles the outstanding talent of the world’. In the past, people believed that only the most intelligent and studious young men and women could possibly get in to Tsinghua. But, these days, so many ‘academic bootcamps’ promote themselves with claims about how many of their graduates have made it into Tsinghua or Peking University. With that kind of pre-college inculcation, young people are ‘ruined’ long before they even step onto the campus. The fact of the matter is that the quotient of genuine talents drawn to study at Tsinghua has significantly dropped off. That was my ‘lamentation’ about Tsinghua back then. Who ever would have thought that things would deteriorate so precipitously that we have ended up with this recent shocking event! It must have been two years ago that Professor Xu Zhangrun told me that one of the students in his lecture was behaving in such a peculiar manner that he decided to question them [the student’s gender is not specified. — trans]. Eventually, the student admitted that they were appointed to report on the content of Xu’s lectures. They also admitted that they were paid a monthly stipend for this ‘service’ and, on top of that, they were given an assurance that, if they continued to ‘contribute’ in this way for three years, they were assured of a place in a research program. The job even had a title: they call such lecture-hall snitches ‘Information Officers’. What amazed me in particular was the fact that this student didn’t think that their behaviour was shameful in any way; it was just a ‘work-while-you-study’ gig! From then on I learned that this was far from being an isolated case: ‘normal course content’ at Tsinghua now seemed to include a requirement to report damning information about lecturers. So now you’ll have to agree with me how risible is that, back in the day, I was so deeply distressed about the university giving license to students to hone their skills as craven courtiers in thrall to power-holders at every level. All of that pales into insignificance when compared to a place trains people to work for the modern-day equivalent of the ‘Eastern Depot’ and the ‘Western Depot’ [the names of the places in Beijing that once housed the fear-inspiring Ming-dynasty ‘secret service’]. One can only wonder what other depths they might be willing to plumb as they continue to debase higher education in China? The latest round of ‘book burning and burying scholars’ started quite some time ago [the First Emperor of the Qin was said to have destroyed books that contained heterodox material and buried scholars who challenged his authority. — trans.]. False currency is circulating instead of the true coin of the realm in every part of the society, and not only in the tertiary sector. It’s merely because of its fame and influence that Tsinghua University happens to be able to play a more prominent role in this base enterprise. The recent behaviour of the institution is paradigmatic: on one hand a person despised by everyone, an individual who makes the most preposterous claims without any regard for facts, someone derided by All-Under-Heaven, was given the highest accolade and bestowed with the lofty title of ‘university professor’ [the author is referring to Hu Angang (胡鞍鋼, 1953-), one of the most noxious pseudo scholars at Tsinghua who is famous not only for hyperbole but also for a particular brand of triumphalist nationalism — trans.]. On the other hand, a famous scholar justifiably celebrated for his moral calibre and academic achievements is subjected to unseemly pressure and then, without warning, deprived of his pedagogical role in that self-same university. What other evidence do you need to realise that it is a topsy-turvy place where things are being stood on their head? How I mourn for you, my beloved alma mater! Tsinghua University occupies a special place in my heart. Back in my youth, I cast everything aside and abandoned the justly renowned Yenching University [itself displaced and absorbed by Peking University in the early 1950s] to pursue my studies at Tsinghua. I’ve treasured my memories of the three short years I spent there ever since. Many years after my graduation, however, Tsinghua was tainted by when it became one of the participants in the odious ‘Two Schools’ group during the cataclysm [in the last years of the Cultural Revolution, select ideologically pliant academics at Tsinghua and Peking universities were organised into a writing group which wrote under the name ‘Liang Xiao’ 梁效 liáng xiào — a homophone for 兩校 liǎng xiào, or ‘the two schools or universities’. This notorious collective produced numerous politically charged, quasi-academic works for the official media at the behest of Mao and his Gang of Four followers. For more on this, see the section ‘Two Schools 梁效’ in Homo Xinensis, China Heritage, 31 August 2018. — trans.]. Only very gradually was it able to regain something resembling normalcy. In the process, Tsinghua really managed to attract new talents who then contributed to the revitalisation of a range of long-abandoned disciplines, in the humanities and social sciences. In turn, this nurtured a new generation of outstanding academics. Old graduates like me were delighted to witness these developments and so, from the early 1980s, we started to attend annual celebrations held at the university. We’d get together and reminisce about the past. I’ve even written quite a few things about my time at Tsinghua. However, starting with the ninetieth anniversary of the university in 1991, things no longer felt quite right any more. One reason was that ‘on the day’ [of a commemoration], due to the fact that some Party-State leader invariably graced the event, security was increased and alumni were issued with entry passes on the basis of their ‘rank’. If you were deemed merely to be an ‘average alumnus or alumna’ you only got to attend events on campus on the second day. By the time the university’s centenary came around [in April 2011], the bureaucratic stench was even more overwhelming, as I noted earlier. I studied at Tsinghua during the last few years of Mei Yi-chi’s tenure as university president on the Mainland [Mei Yi-chi (梅貽琦, 1989-1962) was president from 1931 to 1948, thereafter he relocated to Taiwan], and even though I never met him, I do remember catching sight of him on campus from a distance. Despite never having the pleasure to hear him make an ‘important speech’, I well recall that his personality and his reputation somehow made us feel proud to think of ourselves as his ‘disciples’. Classmates shared a heartfelt respect for him. When I visited Taiwan in 2014 I had an opportunity to visit [National] Tsinghua University at Hsinchu [Xinzhu]. Our hosts led us to pay our respects at President Mei’s tomb, which has a commemorative pavilion nearby. Suddenly, I felt the urge to bow respectfully three times before the sepulchre. It was a spontaneous act with no forethought whatsoever. So, let me ask you, reader, which subsequent president of Tsinghua has enjoyed or can claim to enjoy such widespread respect? Do students feel about them like we did about Mei Yi-chi? What impressions and heartfelt sentiments will these presidents leave behind? A few years ago a certain university vice-president well known for his outspokenness told me that when they were faced with widely reviled policies and practices, it was more than possible to join forces with other university presidents to protest collectively, or they could communicate their disagreement to their superiors individually. There were ways to challenge things effectively or, by raising concerns either collectively or individually, you could at least get the issue onto the agenda for further deliberation. However, in reality, even though people vehemently give voice to their disgruntlement in private and generally reach pretty much the same conclusion about what’s wrong, none of them dare say a word. That was nearly a decade ago; given this new batch of Academic Big Wigs today, I wonder if they even share a common view about things in private? to show respect for intellectual freedom. There was another story that everyone had heard in those days. 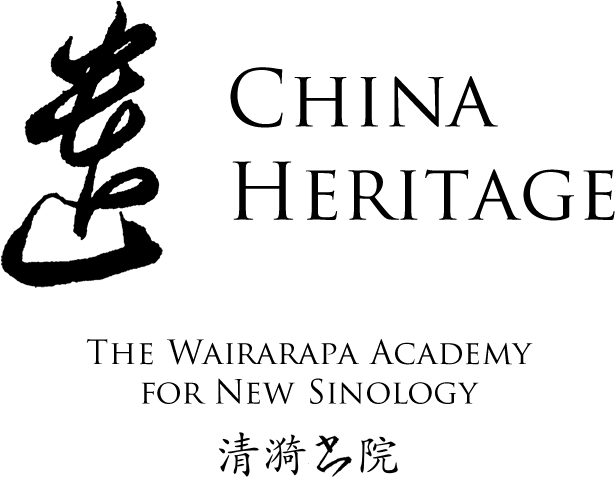 During the War of Resistance Against Japan [or the Second Sino-Japanese War, 1937-1945], professors at National Southwestern Associated University [in Kunming, southwest China, a college that was a wartime amalgamation of key educational institutions, including Tsinghua] collectively petitioned the national Ministry of Education, which at the time was under the control of the hardliner Ch’en Lifu. They were protesting against the imposition of new government regulations that would have been tantamount to direct political interference in and control over university syllabi. Both of things happened when China was at war: one during the Japanese invasion [that is, the collective opposition to Ch’en Li-fu]; the other during the Civil War [Mei Yi-chi’s protection of students]. And, in both cases, university administrators ensured the inviolability of their campuses and that the dignity of scholarship and learning was protected. Today, we are at peace and we are enjoying unprecedented prosperity; the nation is ‘on the rise’ as never before and access to higher education is more readily available than ever. New buildings are shooting up all over the campus of Tsinghua University, yet how is it that such a grand institution simply has no room for a professor who has demonstrated his profound involvement with and concern for our Nation and its Peoples, a man who is a living exemplar of [the unofficial Tsinghua slogan] that encourages teachers and students alike to have an independent mind? Furthermore, this is happening at a time when ‘the rule of law’ has been formally incorporated into the official ‘Core Socialist Values’ of the nation. Yet now, at all times, not only is legal education being stymied, but even a professor of law has been denied access to his lectern! Given the online discussion surrounding this incident, it is reassuring to see just how many people are aware that Tsinghua University’s actions are simply unjust. The purged professor himself is facing things with equanimity and courage. He has repeatedly said that he has acted out of good faith and according to his conscience. He will not resile from his position. What more can be said? It takes a country to nurture a person. Millions of university graduates go out into our society every year. People like to say that elite university graduates in particular ‘Might be the Blossoms of Today, but They are the Foundation of Our Society Tomorrow’. This, therefore, begs the question: who and what are the ‘Best and Brightest’, those who will determine the fate of this Great Chinese Nation of ours?